Execution and Management for all modes. Through analyzing every characteristic of your parcel shipping history, and comparing those results with our ever expanding database of carriers and shipments, we can identify every savings possibility for your specific needs. 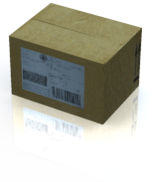 If using our volume aggregate discounts, or having us compare your shipping profile to our market intelligence to aid in Carrier RFP processes, in conjunction with our Comprehensive Audit Program (CAP) to find every billing inconsistency, overage, and unauthorized charge, we have a parcel savings solution for you. Our volume aggregate discounts allow us to deliver your LTL shipment for the lowest price. Dedicated or transactional, we have the right rate for your shipment. If your volume dictates an RFP, we can assist in carrier management and procurement. 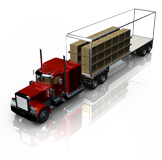 With ONESOURCE, you can manage every aspect of your supply chain transportation needs. ONESOURCE also captures every quoted price and invoice, and immediately notifies the carrier of the dispute, creating over a 99% accuracy in billing, and eliminating the need for your freight auditor. With our cutting edge technology and depth in carriers in the Source Alliance Network, we can find the best carrier, equipment, capacity, and price for you faster, and when you need it. Our carrier network allows us to provide the best price, while ensuring on-time pickup and delivery. If your shipments require intermodal or international forwarding, Source Alliance Network has a solution for your freight. 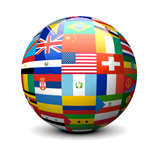 Including Air, Ocean, Import, Export and Documentation capabilities. With over 50 centers in 20 countries, and over 100 agents in our Network, we can accommodate all of your International shipping requirements. Choose Source Alliance Network for your air cargo needs, be it inbound or outbound, to North America, Latin America, Asia, or Europe. 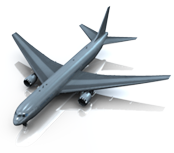 We offer both door-to-door and airport-to-airport services. With our extensive carrier network, we can help you choose the right Air Freight carrier at the best price for your time sensitive cargo shipments. From Less Than Container Loads (LCL) and Full Container Loads (FCL) to Full Vessel, Source Alliance Network can ship your ocean cargo anywhere in the world at a competitive price. 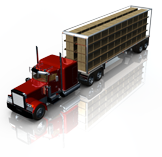 We offer full tracking and visibility to your freight, and a dedicated Account Manager to assist you at every step.